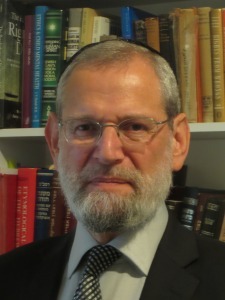 Philip Marcus served as a Family Court Judge of the Jerusalem Magistrates Court in Israel for 17 years, and was Deputy President for Family Matters from 2001 to 2006. Since his retirement, Philip Marcus has become a consultant and lecturer. Because of his vast experience in all areas of family law and the foundations of law, he is invited to speak at various forums in Israel and overseas. Philip Marcus has written a series of articles and position papers about proposed changes to family law in Israel. His articles are widely published and his expertise is appreciated by legislators – he was invited to appear before a joint meeting of the Committee for Children’s Rights and the Committee on the Status of Women in the Knesset. Judge Philip Marcus is offering a training course on setting up a Unified Family Court, presenting a model based on the Israeli Family Court that is adaptable to the needs, legal culture and resources available in any country. An outline of the course is attached here. You can find more information about his areas of expertise on this website. Click here to contact him directly and click here to download his resume.